I have had SO much fun creating these postcards for an amazing group that I have joined recently - The Global Postcard Art Swap / heART Exchange . 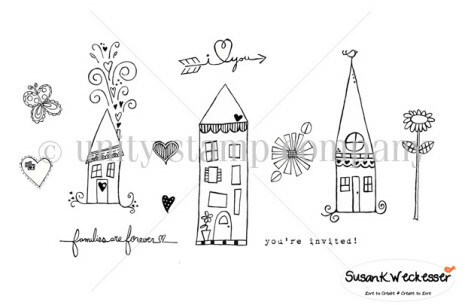 The cute little houses are in a stamp set designed by Susan K Weckesser - Heart-Full Homes. These houses are so fun to create with. 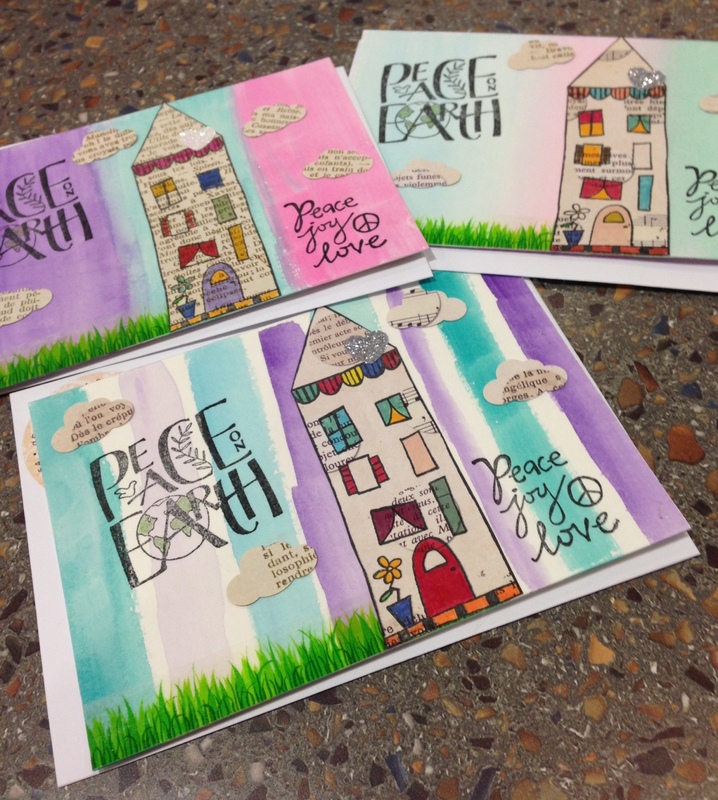 I have stamped them on patterned paper for this swap and then colored in different elements of each image. They were then cut out and adhered to the postcards with my favorite adhesive - Tombow MONO Aqua Liquid Glue. I used Strathmore Watercolor paper / 400 series from a 6 x 12'' pad. I can get 3 postcards from each sheet and there are 12 sheets in a pad. I buy them when I have coupons to my local craft stores and can get them for under $5. The watercolors are from a $5 set I purchased at Michaels. 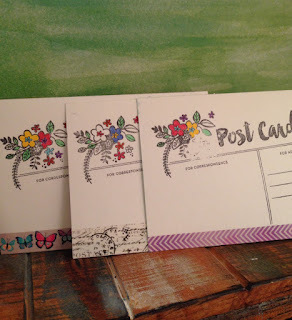 I made vertical stripes on each card in several colors and widths using different sized brushes and amounts of water. The theme of this swap was PEACE so I also used a Peace, Love, Joy stamp by Paper Source and a Peace On Earth stamp from Wordsworth / Ampersand Press. The clouds were punched out with a paper-punch from the same paper that was used on the houses. Grass washi by Scotch was a fun addition to the bottom edge of the card. 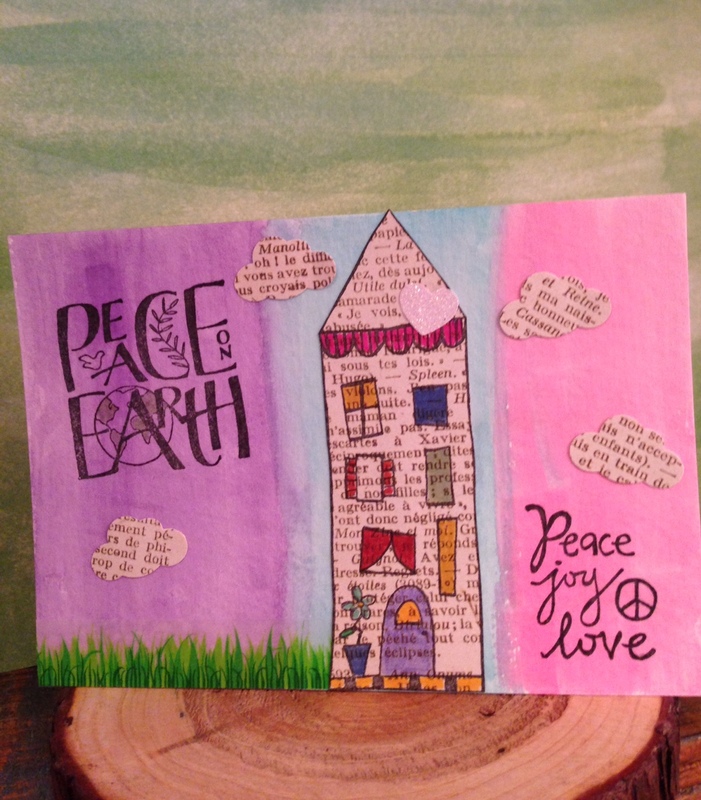 The Global Postcard Art Swap is a group that "creates art from the heart in the form of a postcard to send and receive around the world". You can check out the Facebook Group or go to this link and sign up to be a part of the swaps that occur several times each year.The connections that are made through these swaps/groups are priceless !! At this time of Thanksgiving, I am so very grateful for all of the wonderful people that I have in my life. And it is through the joy of letter-writing /snail mail, that I have made some of my strongest friendships. I added some Susan K Weckesser images to my postcard photo. Wishing you and yours an amazing Thanksgiving.. I like the way you stamped on printed paper! Great idea! 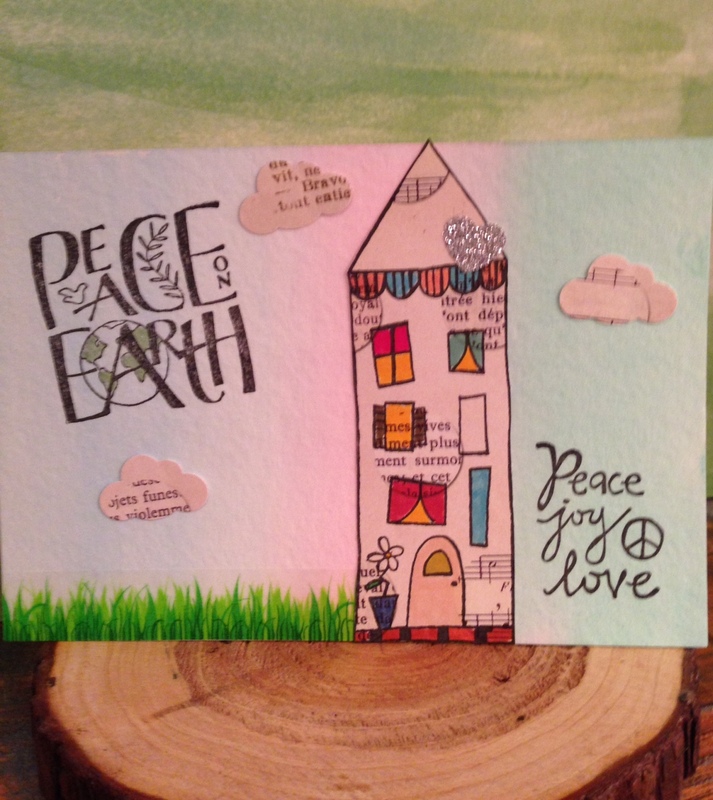 They make cute Christ,as cards that are nontraditional. Great work! These are just too cool Deb! 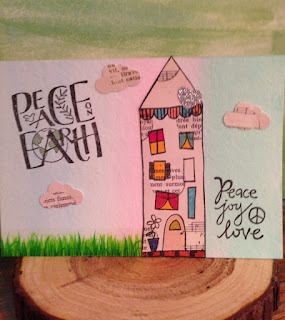 I love the gorgeous background you created and yhe touches of Washi tape on the postcard address side!